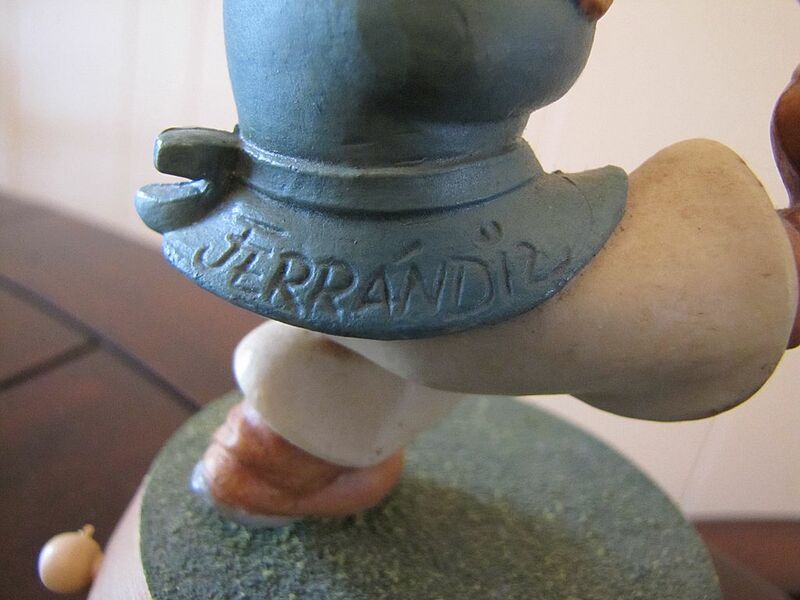 Vintage carved Anri Ferrandiz and music box sculpture. 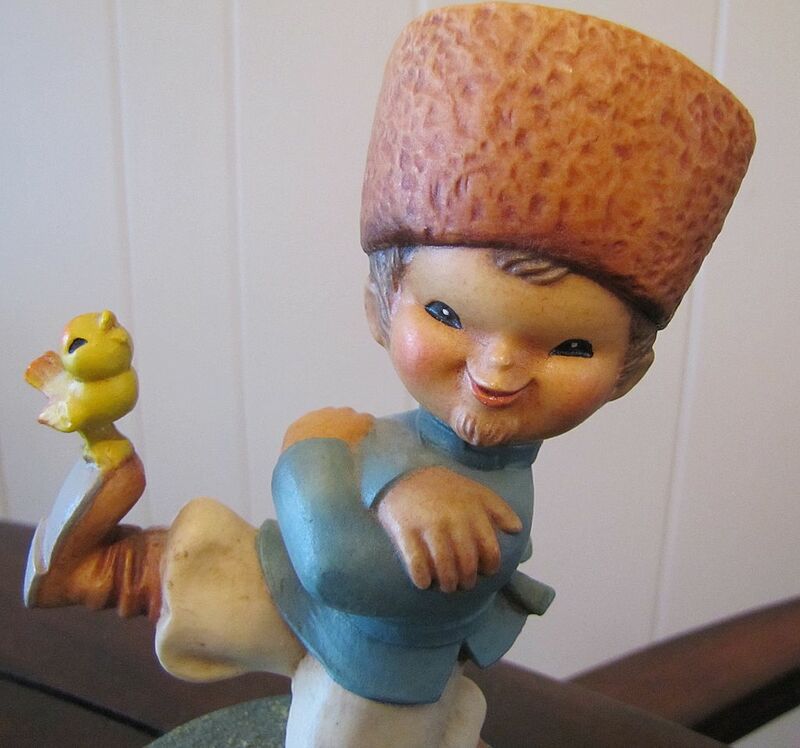 The statue is of a Russian bearded man, dancing with a small yellow bird perched on his shoe.The music plays "If I Were A Rich Man" from Fiddler on the Roof. The statue is 6" high and in good condition. Ferrandiz is carved into the side of his blouse. 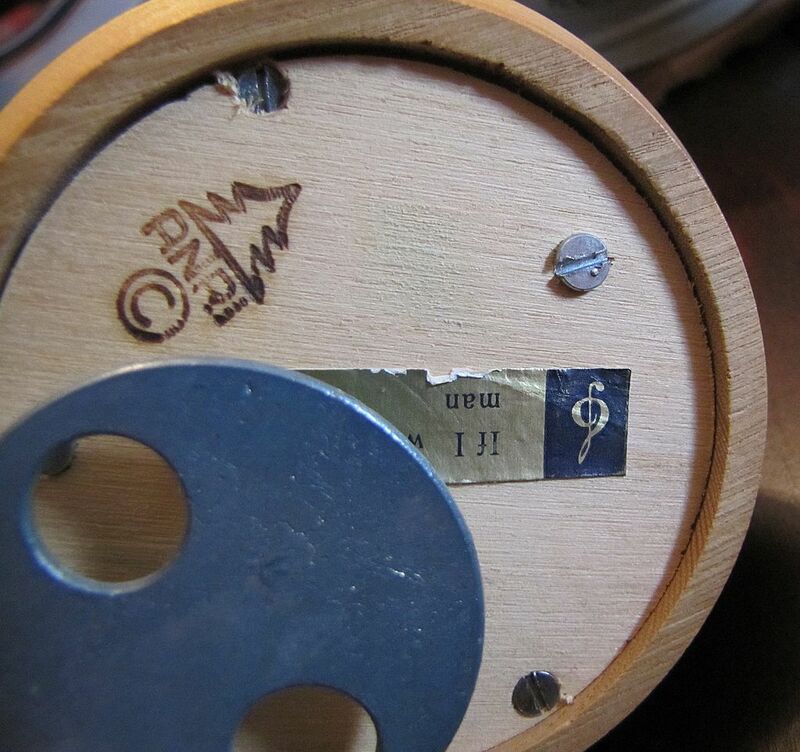 The bottom is carved with Anri and the symbol and there is a sticker with a music note and the name of the song.